Mazal Tov! May your newborn bring you much Nachat and joy, in good health! Brit Milah, or circumcision, is performed on a Jewish male eight days after he is born (as long as the child has been declared healthy). This ceremony, by which a boy enters the Covenant of Israel, goes back to Abraham, who, through circumcision, made a covenant with G‑d, where he vowed to teach his descendants to serve G‑d with devotion. In return, G‑d promised to safeguard the Jewish people. Today, by performing the act of circumcision, Jews perpetuate the covenant and make their children a part of that eternal promise. The procedure is performed by a mohel, who has mastered the Jewish laws regarding circumcision and received extensive training. 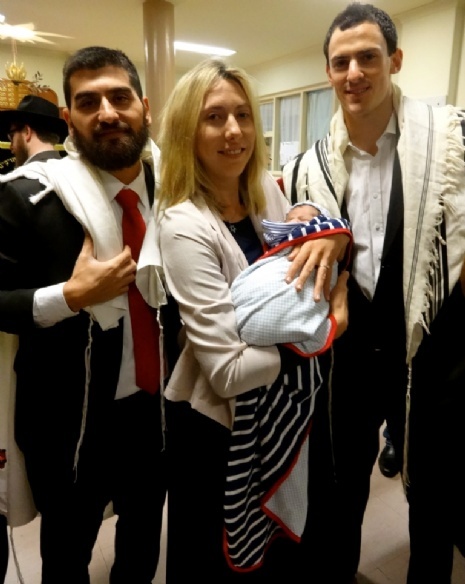 The baby is given his Jewish (Hebrew) name at the circumcision. The Brit is usually followed by a Seudah or party. 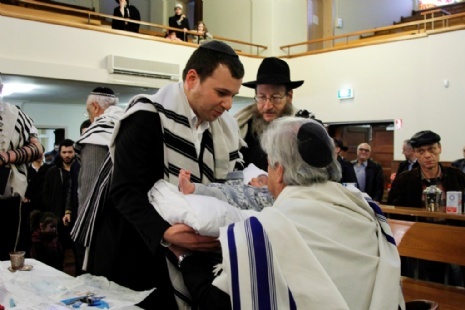 Should you wish to use the Shule to host your bris, please contact the Shule Office on 9531 1547. Rabbi Shmuel is more than happy too, 9531 1945. Learn more about pregnancy, birth and Bris here. 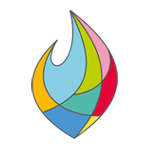 Hebrew birthday calculator - Use this handy tool to find out the Hebrew day corresponding to your date of birth — and then discover when it occurs this year. The naming of a Jewish child is considered a most profound spiritual moment, for at the beginning of life we give a name and at the end of life a "good name" is all we take with us. In Hebrew a name reveals essential characteristics. It is important to choose a name that will have a positive effect, since every time it is used the person is reminded of its meaning. When naming a Jewish baby it is a statement of what we hope the child will become and recognition of the child's heritage. Many people name their child after relatives or may choose a name based on the Jewish holiday coinciding with the birth. A girl's name is officially given in synagogue shortly after the birth when the father is called up to the Torah. This can take place at our weekday or Shabbat services and should be arranged in advance with the Shule office, 9531 1547. Learn more about baby naming customs, here.